Why are pawns important in chess? …to play the pawns well; they are the soul of chess: it is they which uniquely determine the attack and the defense, and on their good or bad arrangement depends entirely the winning or losing of the game. Sounds impressive but what did he mean? Why should pawns be seen as the soul of chess? And why are the pawns so important? Any chess player who knows the basics of the game can tell you that pawns are weaker than the pieces. True, individually a pawn may be weak, but together they create a force that is roughly equal in strength to the queen! However, you need to understand how pawns, and particularly pawn-structures, affect the game. Imagine you remove all the pieces from the board and leave only the pawns. What you would see is the pawn-structure. The pawn-structure is what remains if you remove all the other pieces from the board. At the start of a new game – half of your army consist of pawns and the structure they adopt will have a large impact on the game. Notice how much the movements of the Bd7 is affected by the pawns. In this particular position, then knight is the preferred piece since his movements are not as restricted, ie. Nf3-d4 (keeping an eye on e6 and c6) could be a useful route for the knight. The above example shows how pawns can restrict the movement of a piece – even their own pieces. The black pawn on b5 limits the Bd7 on the queen-side. On the king-side again, the Bd7 is limited mainly by the white pawns. The white pawn on b4 also plays a useful role in blocking the advance of the b5-pawn. A single pawn might not be very strong, but together they’re a formidable team – they control many squares on the board and can prevent enemy pieces from entering their territory. Weak squares generally refer to squares on the 5th or 6th rank (inside enemy territory) that cannot be defended by pawns. a Square that cannot be defended by a pawn can more easily be occupied by a piece. Therefore, weak squares are often an opportunity to further improve the development of your pieces. Naturally it should also be noted that, in most cases, weak squares near or in the center are more useful than weak squares on the sides of the board. Weak squares are squares that cannot be defended. Since pawns are the main defenders of your territory, a weak square usually refers to a square inside enemy territory that cannot be defended by a pawn. The diagram above comes from a game between Magnus Carlsen vs Judit Polgar. Carlsen used the weak squares to infiltrate black’s territory with his pieces and won the game in the end. The example clearly shows why you should think carefully before pushing pawns, since they create weaknesses that are permanent. When the structure becomes fragmented, the pawns are weakened. Since pawns cannot move backwards or sideways they are vulnerable and depend heavily on the support of other pawns or pieces. Ii is ironic that, in a sense, their inherent weakness actually contribute to the fact that the pawns are so important in chess. A weak pawn is usually a pawn that must be defended by a piece. In this position black will be forced to defend the c6-pawn with the knight. Not ideal. A weak pawn cannot be defended by other pawns. This means we must use a piece to defend them. Ideally, we don’t want to allocate valuable pieces to protect pawns – the pawns should be able to protect themselves, and if they can’t – they are weak. At the start of a new game all the pawns are connected, but as the game continue and some exchanges are made, the pawns may become disconnected. When a group of pawns gets disconnected from the rest of the pawn-structure they become a pawn-island. Generally, the more pawn-islands you have, the harder it is to defend them all. Therefore, more pawn-island usually implies a weaker pawn-structure. White has 2 pawn-islands. Black has 3 pawn-islands. An isolated pawn is a pawn that does not have a pawn on either side of it. Generally an isolated pawn can be a weakness in your position but on the other hand it also means that your pieces will have better mobility around an isolated pawn since there movements aren’t restricted as much. For this reason an isolated pawn is not at weak in the middle-game as it is in the endgame stage. An isolated pawn is often easy to attack because there aren’t nearby pawns to help defend the square in front it. A backward pawn is a pawn that is behind the pawns next to him and cannot move forward without being captured. At the same time this pawn is on a semi-open file that makes it vulnerable to being attacked, particularly by rooks. Backward pawns are often a significant weakness in your position. The d6-pawn can’t advance safely because white controls the square right in front it. The square right in front of a backward pawn is usually also a great square to place one of your pieces. A pawn chain refers to pawns that protect one another on a diagonal. A pawn chain is often a fairly strong defensive setup. One downside of a pawn-chain is that the pawns cover either light squares or dark squares, not both. This implies you will need your pieces to protect the squares not covered by the pawns. A pawn-chain could also be problematic to a bishop that moves on the same color squares. A passed pawn refers to a pawn that cannot be stopped by enemy pawns from reaching the other side. This often means your opponent will have to use a piece to stop the passed pawn. This can give you an advantage since your opponent will have a piece that is tied down in a defensive task. The black king is kept busy by the white passed pawn. This mean the white king can simply walk over and capture the black pawns. That’s it. You now know why pawns are the soul of chess and you have a good background with regard to the theory of pawn-structures. Since pawns can’t move backwards, moving a pawn has permanent consequences. 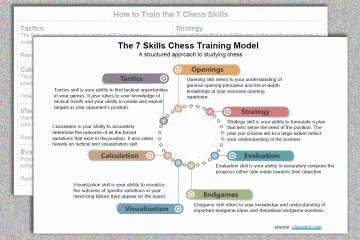 Only move a pawn when it helps you achieve important objectives. When pawns can’t defend themselves, they are weak. Aim for a situation where your pawns can defend themselves, else you will have to use your valuable pieces (resources) to defend them. There you have it. After going through all of this, you now have a much better ideas of why pawns are important in chess! Hopefully this will also help you to give the pawns the attention they deserve.